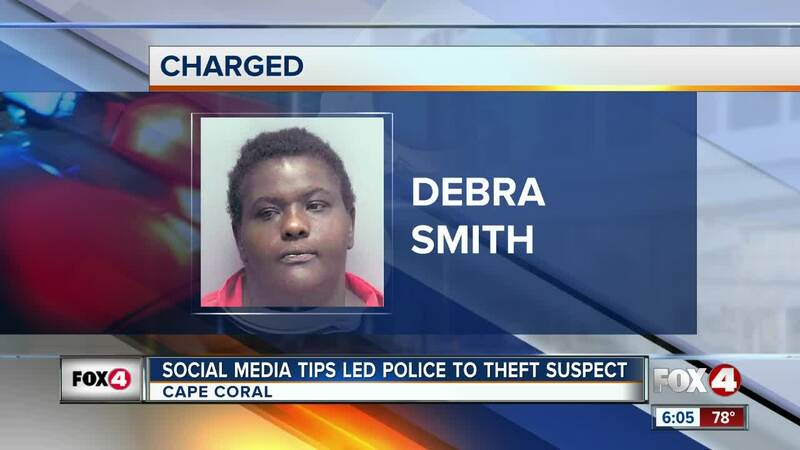 CAPE CORAL, Fla. — Tips on social media led police to a Walmart theft suspect, in Cape Coral. The incident happened last month when police say three women left the store with shopping carts full of items they did not pay for. Police said when the women were confronted, they drove off. The stolen items totaled more than seven hundred dollars. A witness identified one of the suspects as Debra Smith and said she was already at the Lee County jail on an unrelated charge. Smith was charged with grand theft Wednesday.